The Left: Billionaire George Soros declared sympathy for the mobs swarming Wall Street and blaming banks for the economy. Strange that a man who should be anathema to these parasites’ agenda is actually their patron. The “Occupy Wall Street” blame-the-banks movement in New York and other large cities is proving itself to be more AstroTurf than grass-roots political movement by the day. Not only is the $22 billion-dollar man declaring the motley mob the protagonists in a vast struggle against capitalism, the activist groups he’s funded, such as the Tides Foundation, MoveOn.org, and a new one, led by self-described communist Van Jones called “Rebuild the Dream,” are now its most active organizers. “People before profits,” “Occupying Wall Street,” and “Marx was right” are the result, which can be read in the protest signs on Wall Street. And the common thread in all of this is to blame banks. That makes Soros’ presence curious. For one thing, two years ago, Soros was a vocal proponent of bank bailouts himself. The U.S. needs “radical and unorthodox policy measures” to prevent a repeat of the Great Depression, he told Reuters in 2009, calling for all of TARP’s $700 billion in funds to recapitalize banks and write down U.S. accumulated debt. It isn’t the only oddity. A notorious currency speculator whose secretive vandal-like attacks on Third World (and U.K.) currencies have left economic wreckage, Soros gets little affection from global grass-roots people. Along with Goldman Sachs and other investment banks, his campaign cash has bought influence with politicians such as President Obama, making him one of the few who can drop by on short notice to the White House, as records show, a perfect example of special-interest politics, something the protesters also detest. Then there’s Soros’ 2005 insider-trading conviction in France, upheld this week by the European Court of Human Rights. Money is all that kept him out of jail. So if there’s anyone who’s a stereotype of all that’s hated about Wall Street, it’s him. But now he’s the protesters’ patron, sympathizer and funder, along with his allies in thuggish unions like the Service Employees International Union, which is prominent in the protests. Once you know how Soros thinks, it all makes sense. Despite competing lists of “demands,” the protests really have only one common aim: to channel public anger toward Wall Street financial institutions instead of President Obama and congressional Democrats, whose policies are truly responsible for the economy. If the problems in the economy can be blamed on banks instead of Obama, and a general atmosphere of Saul Alinsky-inspired chaos can be created in the streets, the conditions would serve Soros interests — both in making money and installing the more socialist, more one-world type government he seeks for the U.S.
Soros’ history has undoubtedly informed his strategy. He began funding large, chaotic “Velvet Revolution” protests from behind the Iron Curtain in 1987. While apparently laudable, his cash was not decisive in that revolution. His Open Society Institute flagship charity learned enough to then fund protests in Third World countries in 1993 — all in the name of democracy. A decade later, Soros was behind some of the “color revolutions” of the old Soviet empire, often creating the appearance of democracy while swapping one dictator for another. Soros groups were similarly prominent in the “Arab Spring” revolution, an even bigger disaster. Now with these Wall Street protests, Soros has brought his show to the U.S. He’s whipping up sentiment against legitimate but battered banks, while deflecting blame for the Obama administration’s policies that have damaged both banks and the economy. Same game, different field. Soros loves whipping up chaos, using parasitical pawns as players. 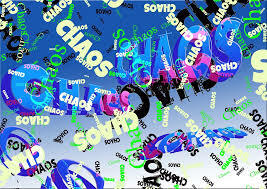 This is only his latest chaos drama. It won’t be his last.